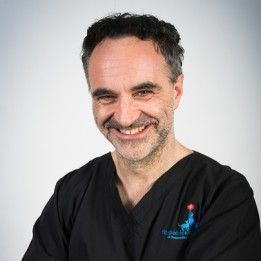 Fitzpatrick Referrals was founded in 2005 by Professor Noel Fitzpatrick, whose vision was to create an environment where it would be truly possible to marry compassionate care with excellence in veterinary medicine. The Centre in Eashing is located against a beautiful backdrop in rural Surrey and specialises in the treatment of Orthopaedic and Neurological conditions in small companion animals, it also boasts a state of the art Rehabilitation Centre within the same building. We passionately believe that every single animal entrusted into our care should be treated as if it was our own. We promise never to advise treatment just because it is possible, but only when it is right for your animal friend at that moment in time. 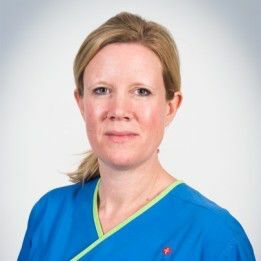 Launched on 2nd September 2015, the new state of the art Fitzpatrick Referrals animal hospital based in Guildford is the first of its kind in Europe and aims to change the way cancer is treated in companion animals. Whilst this building will impress and contain the latest equipment, it is the team of people inside that makes it truly outstanding. We have brought together world class medical and surgical oncologists with extensive experience in advanced radiation procedures, and the best nursing teams in order to gain a better understanding of animal cancer and to use that knowledge to deliver the very best treatment to animals. We aim to deliver all of the options to all of the animals all of the time, and we aim to work with our human colleagues to better inform the treatment of cancer for everyone. With Fitzpatrick Referrals Orthopaedics and Neurology, we will also be the only centre in Europe offering custom-designed 3D-printed limb and joint salvage prostheses. Fitzpatrick Referrals Oncology Service focuses on offering advice, options and therapy to families who want to know what exists in modern cancer care for animals. This is a centre where the vision of improving the quality of animals’ lives and ending cancer in pets drives all we do. Soft tissue surgery refers to any type of surgery for treatment of diseases which are not orthopaedic or neurologic. As such, it includes surgery of most organs, the stomach, intestines, liver, kidneys, bladder, lungs, heart, as well as surgery of other soft parts of the body, including skin, muscle, fat and so on. 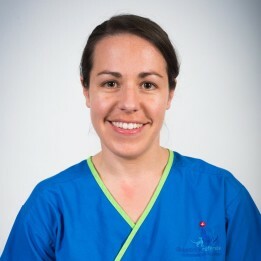 Our specialists have extensive training in Interventional Radiology and the team offer unrivalled excellence in this field for you and your pet. Our specialists are experts in delivering leading edge techniques to treat animals with conditions that were previously considered untreatable. On Sunday 31st January, the Inaugural FORWARD Symposium brought together three world leaders in agility, working and performance dogs at an innovative event unique to the working dog calendar. 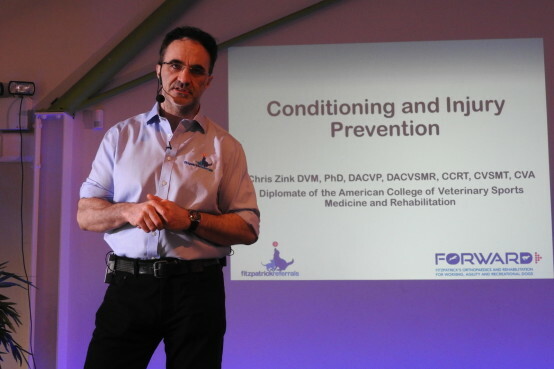 Set in the grounds of Wildwood Golf and Country Club in Surrey, Dr Chris Zink, Natasha Wise and Professor Noel Fitzpatrick presented to over 200 delegates. The speakers provided world-class expertise covering high end, specialist veterinary medicine and surgery and the rehabilitation necessary to bring your dog back to competition condition. In addition, there was top level advice on optimal training and preparation of your competition agility and working dog. Delegates agreed this was the most exciting event of its kind ever held in the UK. Delegates were also delighted to meet the Fitzpatrick Referrals rehabilitation team who took time out of their busy schedules to join the FORWARD Symposium. 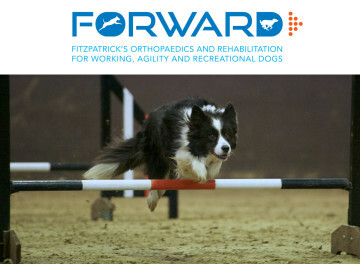 Their ACPAT Chartered Physiotherapists and ABC Level 3 Hydrotherapists were in attendance to introduce the new FORWARD initiative, as well as discussing how fundamental a tailor-made rehabilitation programme is in your dog’s recovery. The state-of-the-art rehabilitation centre is based at the Fitzpatrick Referrals hospital in Eashing, Surrey and offers the most advanced facilities in manual techniques, muscle stimulation, laser and shockwave, and rehabilitation exercise therapy. In addition, the team are also fortunate to offer a large hydrotherapy pool and an underwater treadmill beneficial for increasing flexibility, strength, core stability and cardiovascular fitness.